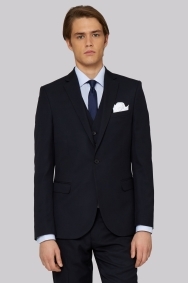 Suit jackets don't come any sharper than this skinny fit navy suit from Moss London. 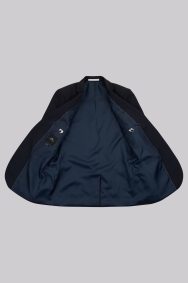 Subtle yet suave, this jacket's youthful style will complement your shape and ensure you stay looking dapper as you move from the office to town. Choose to head into the boardroom fully suited and booted, or use it to add a touch of elegance to an open-collared shirt. 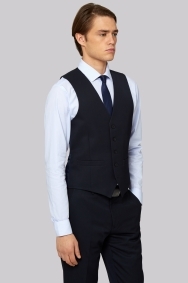 Go formal by selecting the matching trousers and waistcoat from Moss London. 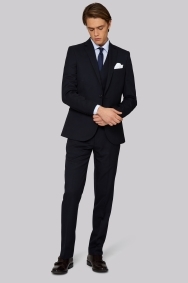 A extra slim fit shirt and skinny tie will best complement the dimensions of this suit. Good fit and price, love the colour. Appears good value from initial view. great quality, amazing that we could exchange for a different size. Excellent product and super delivery service. 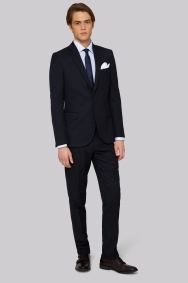 good quality looking suit great value for price and meets my needs. A very nice suit with a slim cut to suit my son he was very pleased with thge look. 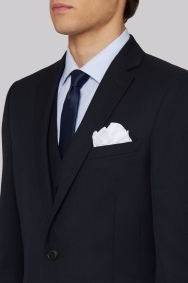 No alteration needed and everything bought in the store, shirt, tie, pocket square to match. The assistant was very helpfull. 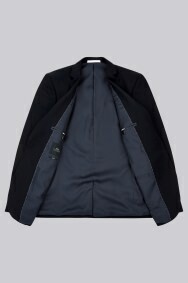 Helped to find a jacket which fitted well in a short amount of time. Matches the rest of the suit nicely. Friendly & helpful staff made my customer experience very good. Got this item for a job interview no issues was worth the money. I bought a French Connection 2 piece suit and it is perfect.. Fit and colour were just as expected! Right for the money. It is fine. Great fit, style and cut. Finished well, good fit, and great value for money. Feels nice. And looks good on. It is a good value suite. Great quality item, comfortable and stylish to wear. Good quality, suits themselves are really nice and fitted. Very good purchase and reasonably priced. Jacket fits well and is good value for money. 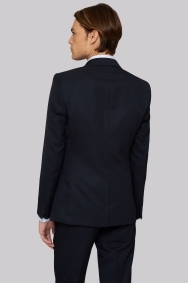 The navy, skinny fit suit I bought was only £59 in the sale reduced to half price.It is excellent quality!very pleased. Really good jacket for the price. It fit perfectly to match my shoulders, pthe material was really good and it was comfortable to wear. Really great jacket - looks really cool! Disappointed that the only ties available as part of the promotion were skinny ones as I'm really not a fan of them. Suit fits perfectly and is exactly what I was looking for. Great style, fit and comfort. Lovely colour, cut and quality. Great fit! I am pleased I made the purchase! Suit jacket fits as it was described. The sizes were true and the quality was excellent. Very pleased. Returned as it was more black than blue. 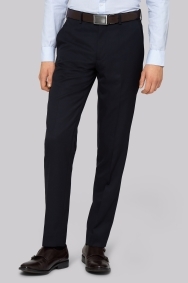 Absolute quality and excellent value great deal suit extra trouser plus two shirts £129!!! It's decent quality at a really fair price. He looked gorgeous! The shirts I chose are lightweight and perfect for summer and the suit is very well constructed and fits like it was tailored. I will definitely use them again. Suit fits perfectly and looks good. Felt smart and tiday, suit was tailored for a perfect fit on the arms.